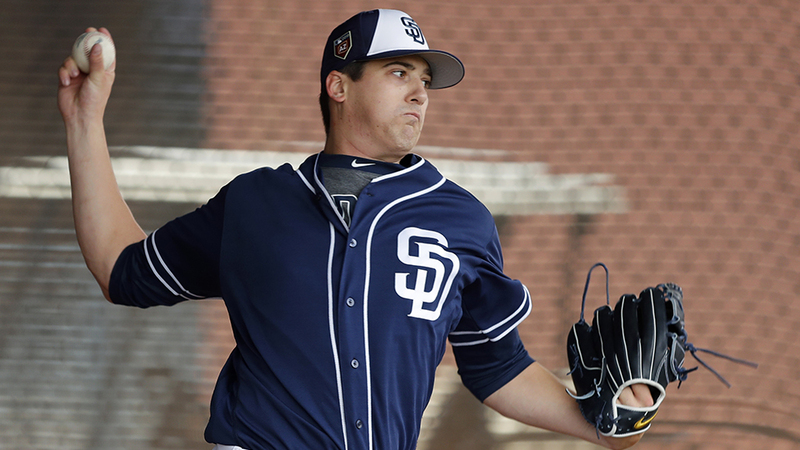 The San Diego Padres have one of the youngest pitching staffs in all of major league baseball. 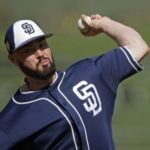 Is there a chance that the team can add more young pitchers early this season as the Padres begin to become competitive in the National League West? 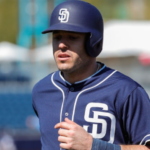 After spending years toiling in the minors, it is finally time for Logan Allen and Cal Quantrill to show what they can do in spring training. 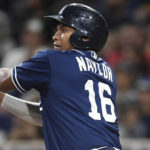 The former eighth and first-round picks, respectively, have risen up the ranks together, and can finally show Major League coaches what they can do. Of course, making the roster right out of spring training is easier said than done. 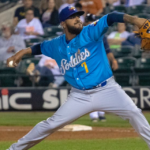 Joey Lucchesi achieved this last year only because of a last-second injury to Dinelson Lamet and an impressive spring where he allowed two runs over 11.2 innings with nine strikeouts and five walks. Lucchesi had competition, but so do Allen and Quantrill. Both Eric Lauer and Lucchesi have secured spots in the starting five, barring injuries, leaving three spots available. So, how can the two rookies secure the spots and who are they going up against? The two rookies are going up against a slew of competition, but they can be beaten. Luis Perdomo and Brian Mitchell both struggled last year, but they will still get the chance to earn a spot. 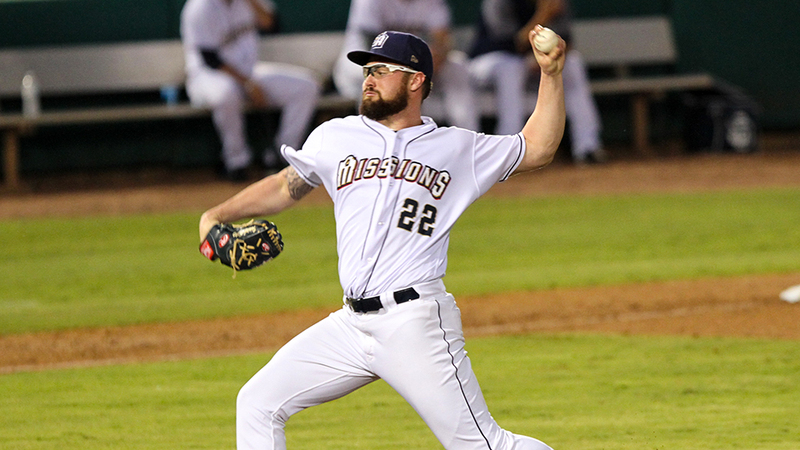 Mitchell was a candidate to be designated for assignment, but after he finished the season with a 2.19 ERA in September, he has renewed the faith of Padres coaches… for now. Perdomo missed time with an injury, but was still knocked around for a 7.05 ERA and a 1.88 WHIP. A 4.26 FIP, 4.65 xFIP, and a 4.82 SIERRA paint a better picture, but the former Rule 5 pick may work better out of the bullpen. Robbie Erlin is a contender for a spot, but he was much more efficient out of the bullpen than as a starter. In 56 1/3 innings as a starter, Erlin posted a 6.23 ERA while opponents gathered a .307/.331/.483 batting line, compared to the 52 2/3 innings of 2.05 ERA ball he pitched as a reliever, while batters only hit .204/.223/.315 after Erlin came out of the bullpen. 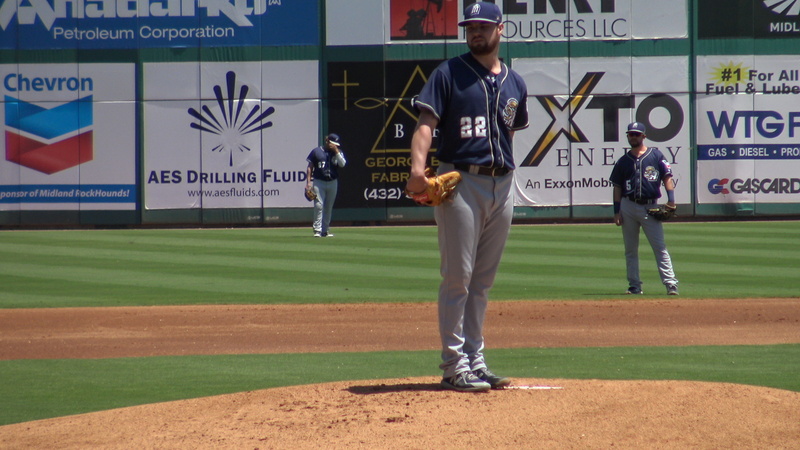 Jacob Nix and Brett Kennedy will have their fair share of innings to prove their worth, but Kennedy will have to show that he is fully healthy after his knee surgery. Both struggled in their respective call-ups, but they only pitched fewer than 10 games and will be allowed some leeway in the season. However, it is Matt Strahm who is the true dark horse in this scenario. Acquired from the Kansas City Royals, Strahm spent all year in the bullpen after recovering from knee surgery, but he has worked hard over the offseason to make a run for the starting rotation. If Strahm can prove that he has the durability to pitch six to seven innings a game, he could give Allen and Quantrill a run for their money. How they can win the spots? Simple. Outperform the veterans. Barring a last-minute free agent signing, the competition is wide open. For Quantrill, he has to show that his Triple-A form is, in fact, his final form. In six games, he posted a 3.48 ERA and a 1.42 WHIP while striking out 22 batters and walking five. However, he struggled in Double-A, struggling to a 5.15 ERA and 1.48 WHIP. His strikeout numbers were solid through both levels, posting a collective 7.08 strikeout rate and a 2.19 walk rate. Quantrill was named to the Future’s Game for a reason, and his fastball-changeup combo is located well when used for strikeouts. Lessons from Darren Balsley can only help him with his slider and curveball, but he has improved the pitches in the minors while maintaining his velocity. Questions of his health have long since passed. 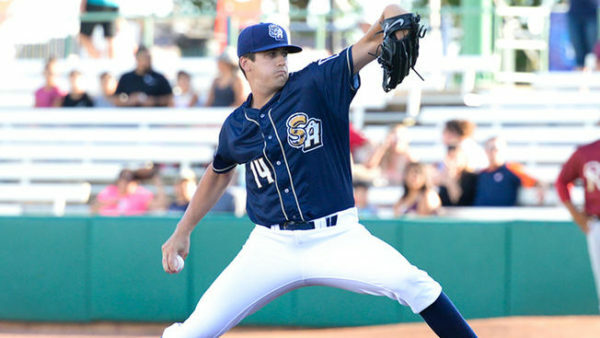 After recovering from Tommy John surgery out of college, Quantrill has pitched over 100 innings in both 2017 and 2018 while consistently pitching five to seven innings per game. His repertoire alone is enough to get him a spot, but he must show consistency to stick in the Show. Of the two, Allen has a better chance to make it. He put together a collective 2.54 ERA, 1.14 WHIP and a 151/51 strikeouts/walk ratio in between two levels of the minors, but a 4.18 FIP and 4.17 xFIP shows that his defense was doing him some favors. His velocity is much improved, sitting in the low-to-mid ’90s with an impressive changeup and curveball. Like Quantrill, he too proved doubters wrong with his durability, pitching 148 2/3 innings in between the two levels. It is already rumored that he has a spot locked in as long as he performs well in camp. The main competition, at the moment, is perhaps Nix, Mitchell, and Erlin. Strahm is the wild card, and if he proves that he can handle the switch from reliever to starter, he might just steal a spot. Mitchell’s strong finish last season indicates potential, but he must repeat this for an entire season and not fall back to his first-half form, where he posted a 7.08 ERA and opponents teed off on him with a .315/.424/.533 batting line. Erlin, on the other hand, is more suited for a bullpen role, but could still earn a promotion to the starting rotation with a good spring. Perdomo and Kennedy may already be behind the others, so as long as Allen and Quantrill outshine the veterans, they will have two rotations spots with their names written on it. You missed discussing our most ready candidate, Chris Paddock, who was 7-3, with a 2.08 ERA, 120 K’s, and ONLY 8 BB last year. Strahm is much more than a a Wild Card, when he came over from the Royals, he was projected as a Top of Rotation talent. I see us opening the season with Lucchesi, Strahm, Lauer, Mitchell, ???. But by June when Tatis Jr. gets called up, the rotation will be, Lucchesi, Lamet, Strahm, Paddock, and Allen IMO, That is this wave of Prospects Arms till the next wave is ready. Gore, Morejon, Baez, Patino, and Weathers will have to take a spot when ready in the future. Quantrill and Espinoza are Wild Cards. Some will be moved as Trade Pieces and some might end up in the bullpen. 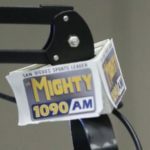 Joey Lucchesi, Eric Lauer and Bryan Mitchell will be in the rotation to start the season barring injury. So there are 2 spots left for Allen, Quantrill, Nix, Kennedy, Diaz, Erlin, Perdomo and Strahm. I’m thinking those 2 spots will go to whoever looks best in Spring Training. 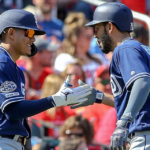 Preller and co don’t seem to care too much about service time manipulation (unfortunately) so if Allen and Quantrill deserve it, I do see them making the club out of Spring Training. There’s more to it than service time. Neither Allen nor Quantrill are on the 40 man roster, so somebody would have to be released/traded to open a spot. Perdomo, Mitchell, Erlin, and Strahm are out of options, so can’t be sent down. It’s highly unlikely either Allen or Quantrill will make the 25 man, forcing the Padres to open up 40-man spots for them. 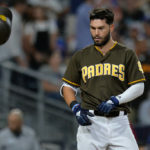 After the 40-man roster purge in the off-season, there are no obvious candidates the Padres could release or would want to risk losing to waivers. I see trades opening some 40 man roster positions. Also I can see the Padres getting rid of Pirela at some point. If Mitchell doesn’t make spot in the rotation he could be released. There are opportunities for these young pitchers.